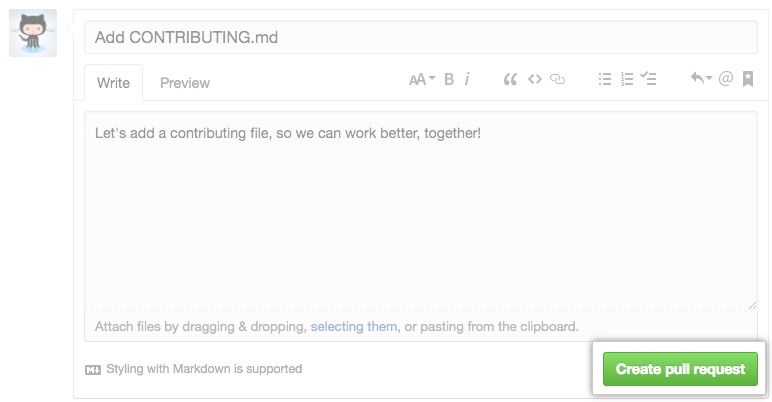 You can open a pull request to the upstream repository from any branch or commit in your fork. We recommend that you make changes in a topic branch, so that you can push followup commits if you receive feedback on your pull request. 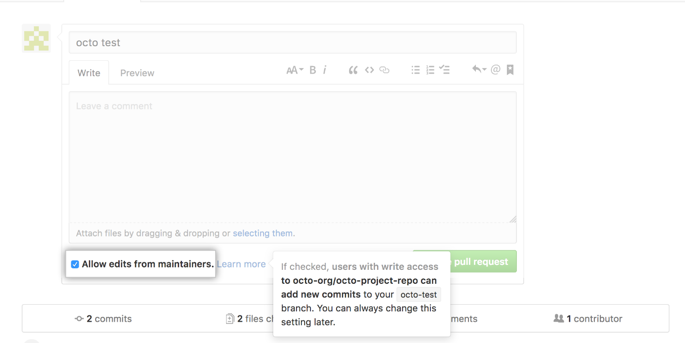 You also have the option to give the upstream repository's maintainers the ability to make commits on your topic branch to update your pull request. If your pull request compares your topic branch with a branch in the upstream repository as the base branch, then your topic branch is also called the compare branch of the pull request. For more information about pull request branches, including examples, see "Creating a Pull Request." Navigate to the original repository you created your fork from. To the right of the Branch menu, click New pull request. On the Compare page, click compare across forks. Confirm that the base fork is the repository you'd like to merge changes into. Use the base branch drop-down menu to select the branch of the upstream repository you'd like to merge changes into. If you do not want to allow anyone with push access to the upstream repository to make changes to your PR, unselect Allow edits from maintainers. Tip: After you create a pull request, you can ask a specific person to review your proposed changes. For more information, see "Requesting a pull request review."